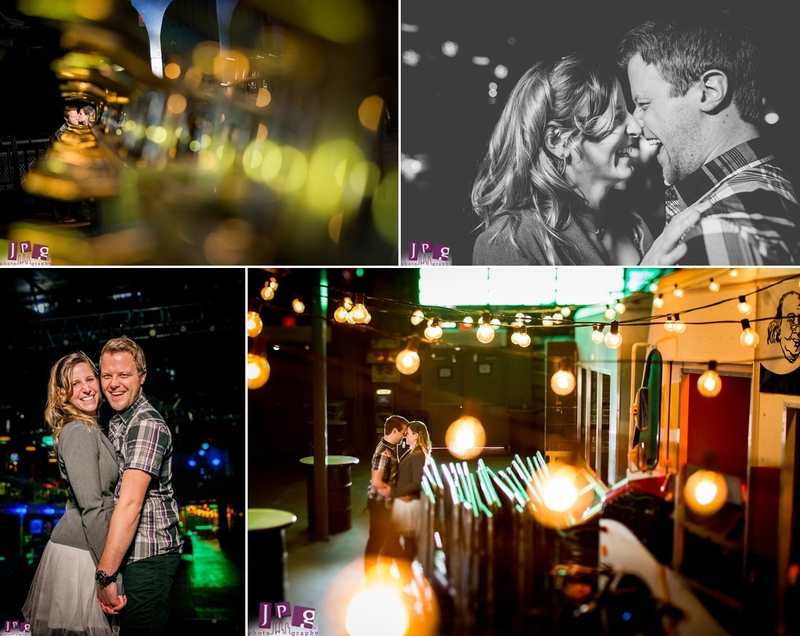 It was towards the end of Lindsay and Ryan’s Electric Factory engagement shoot, and the JPG photography team was taking some final shots on the stage. This staple Philly music venue provided an epic backdrop of industrial space dotted with colored lights, and our happy couple told us how their proposal happened on those very floors between snaps. What a cool way to get engaged! Lindsay and Ryan’s romance has been intertwined with music since day one, over 10 years ago when they were good friends who were into the same bands. The Electric Factory was the perfect choice to highlight this special milestone in their lives. Urban textures, bright colors, and a little grit ruled the day on this shoot. Although the Electric Factory offers an endless amount of photo opportunities, it’s important to have a firm grasp on lighting to maximize them. 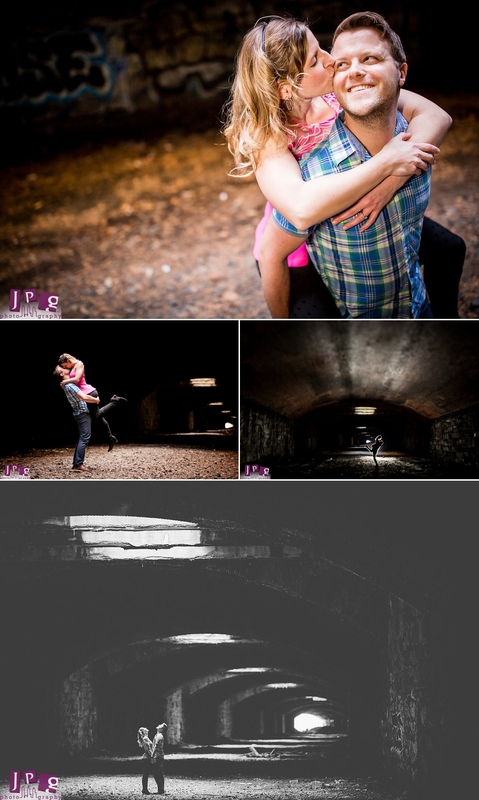 JPG Photography provides expert knowledge on lighting, and can handle mostly any scenario. It’s why the JPG Team has been named among the best studios in the world multiple times. This also came in handy at our first location of the day, a branch of the Reading Viaduct. The Viaduct is an old train line built in the 1890s which spans many neighborhoods in Philly. We utilized a branch which stretches along the Parkway near the Art Museum, both above and below ground. It includes a part of the rail line still in use (but always remember safety first, and keep your distance from the tracks), huge graffiti tags, and a tunnel featuring light that can best be described as eerie-extraterrestrial and cinematic. 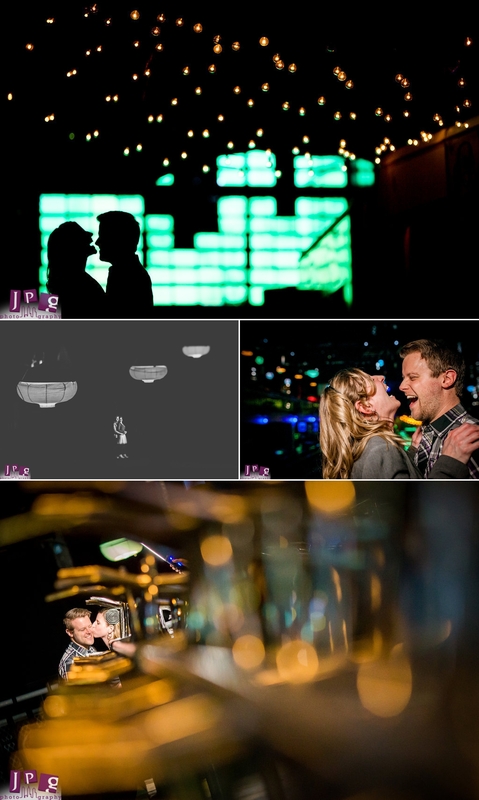 Blending experience, lighting knowledge and creativity, we were able to make colorful images that pop, showcasing their love. 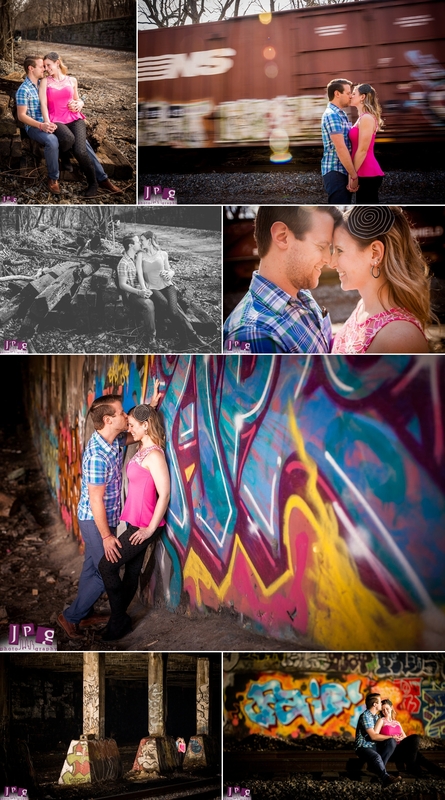 Thank you to Lindsay and Ryan for a fun and creative shoot. We had a blast, and can’t wait to see you at the wedding!